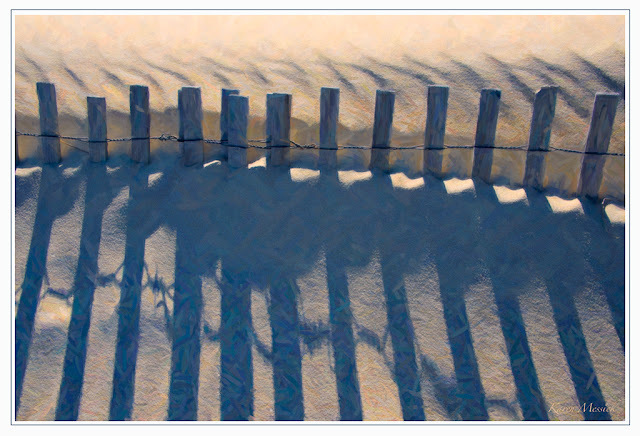 Karen L Messick Photography: Patterns in the sand....Before and After Snapart3 Filters.. Patterns in the sand....Before and After Snapart3 Filters..
Just a quick post before heading out today for Baltimore. 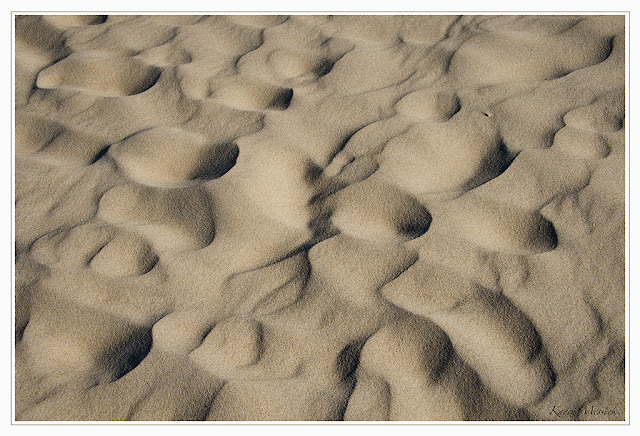 Its been a windy week at the beach and wind always makes interesting sand patterns. It has also been a blue sky week with no storms and gentle seas....the blue light of the sky reflects into the sand and creates a natural blue cast to the shadows. 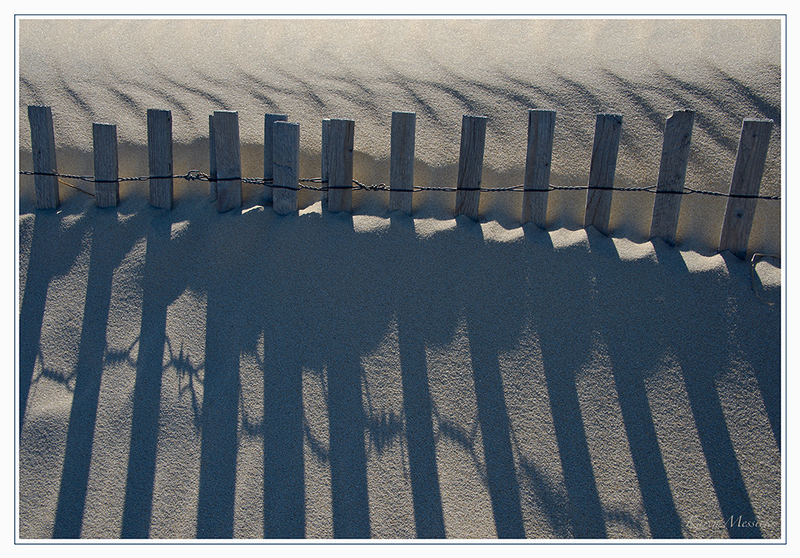 The best time of day for fence line shots is late afternoon, when the sun rakes the shadows of the dune fences across the windswept sand. Today I also decided to post the straight shots...along with a version converted in Snapart3, as some folks have asked about the process and original images. The original shots here were made using an ISO in the "normal" range of 200. Late afternoon light illuminates the backside of the dune fences and throws light back into the dunes adding another dimension to the image. 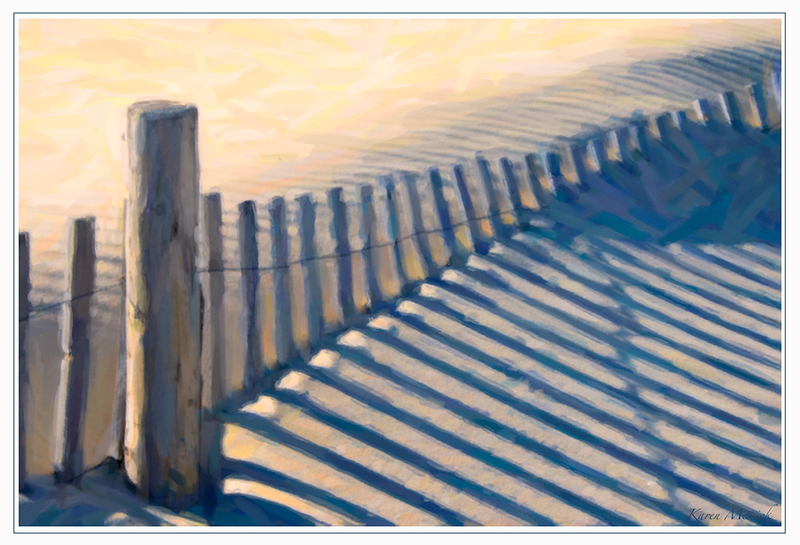 Looking forward to returning to the beach and conducting my beach workshop at the end of this month! I really like the composition of the top photo. 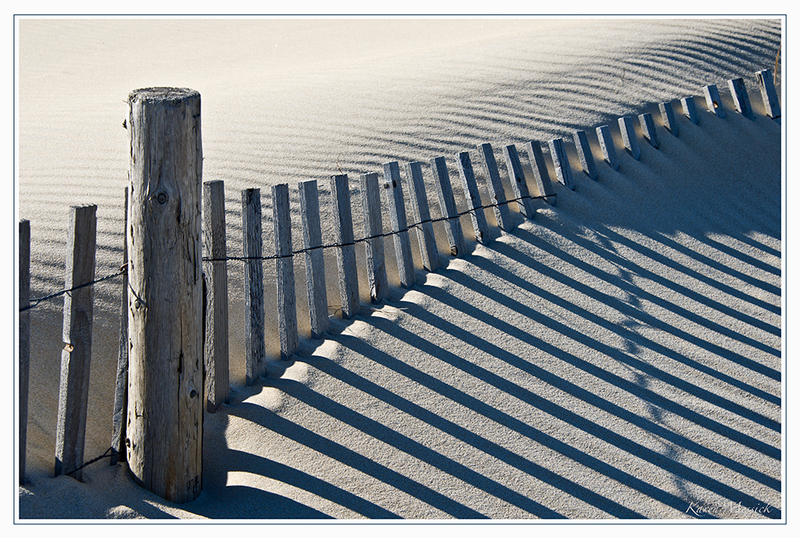 Such a simple subject, but it really delivers a sense of place. 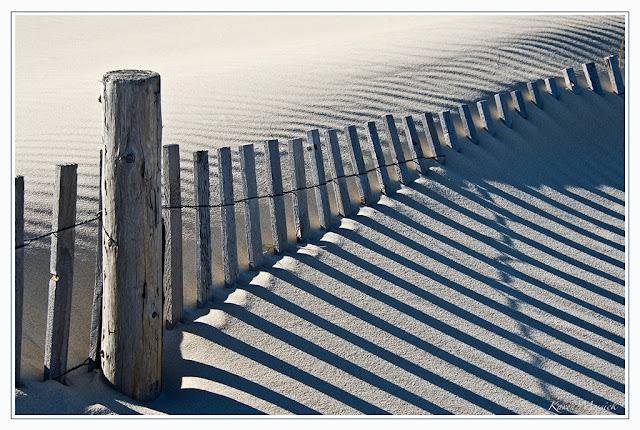 I'm hoping to find subjects like this when I travel to Cape Cod next Fall. Nice job. Thank you Bill, appreciate you checking out my blog and leaving a comment! Have fun in Cape Cod!